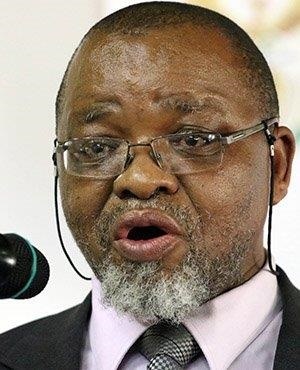 Technology investment in the mining industry should not be a threat to workers, Minister of Mineral Resources Gwede Mantashe said on Thursday. He attended a session of the National Council of Provinces to reply to questions from members. Mantashe explained the implementation of technology in the mining industry should be about re-skilling workers to be prepared for the new technology. "Mining is a highly humanised sector and there must be real reasons before workers are retrenched. One such reason could be when a mineral has been mined out, for instance. We will look to see if retrenchments were just made recklessly," said Mantashe. As for the possible impact of technology on jobs in the mining industry, Mantashe said there is a trend in SA to use the technology issue as a threat. "That is reckless management rather than saying we will use this kind of technology as an opportunity to re-skill and re-train workers so that they can use these technologies. If you use technology as a threat, you will cause a lot of anxiety to workers," he said. In answer to another question about the position of junior miners, Mantashe said he wants to give junior miners scope to be part of the SA economy. That is why the current Mining Charter has a section dedicated to junior miners. "Being a junior miner is not a destination. It is a stage of development. Junior miners must grow their business. It requires cooperation. You cannot stay a junior miner eternally and regulations should help you to grow," said Mantashe. When asked about disputes in the mining industry, Mantashe said a developmental strategy should include mining access. "Those talking about mining coming in the way of tourism should realise that you cannot have tourism if there is no access (to an area). If an area needs to be developed, that development should include mining," he said. He said mining is an economic sector, so a sustainable balance must be found in transforming the industry. "At some point we must publish at least a list of black mine owners each year and see if the number is increasing. Mining companies must begin to appreciate the importance of pooling resources to become major companies," said Mantashe. "That debate is going on in the industry."